From customer service, to fast shipping, the follow up and the good quality product, I am super satisfied with my purchase and will definitely purchase again and recommend. THANK YOU! Love these boxes. Perfect size for my cookies, great quality. 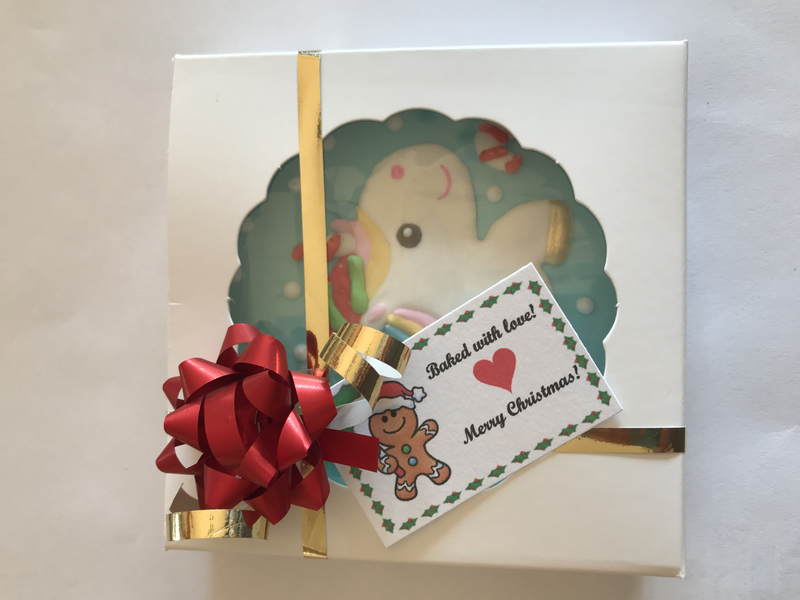 I'm so pleased with the boxes, they are great for cookies and the quality is excellent. These boxes worked out great for my holiday cookies. My cookie fits just right and it perfectly displayed through the little window. Best UsesGreat for favors, small gifts, displays baked goods perfectly! Beautifully designed and easy to use product. Exactly what I was looking for. These are high quality boxes that really showcase my lemon tarts. Love them! 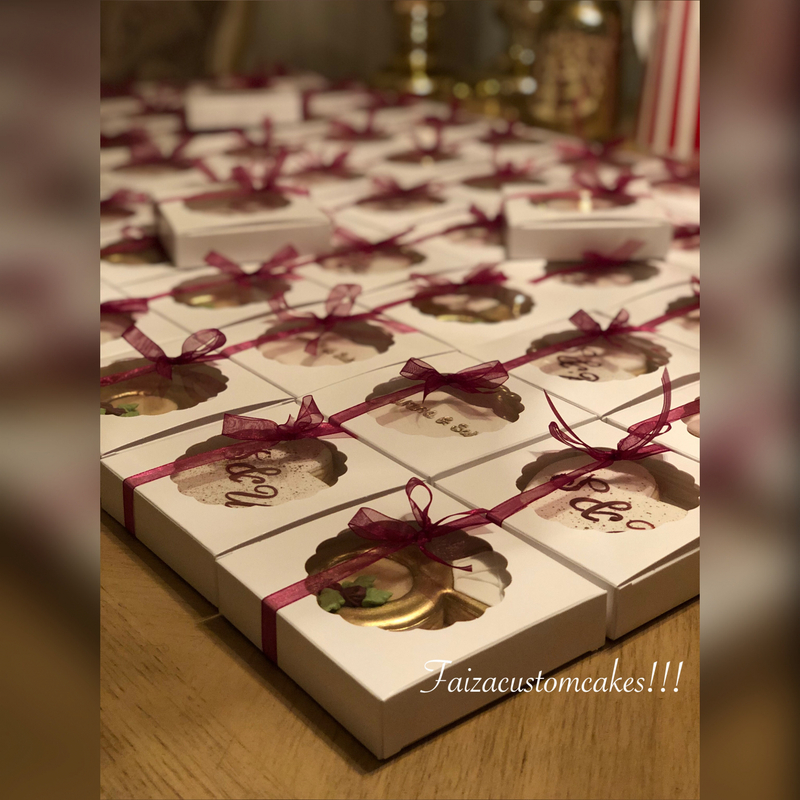 Wonderful boxes to package my decorated cookies individually for an upcoming wedding. The size and strength are spot on! Ordering couldn't have been easier, and they arrived right on time! Will absolutely be ordering from you again! I love BRP, and every product I've purchased is top notch. No exception with these boxes! 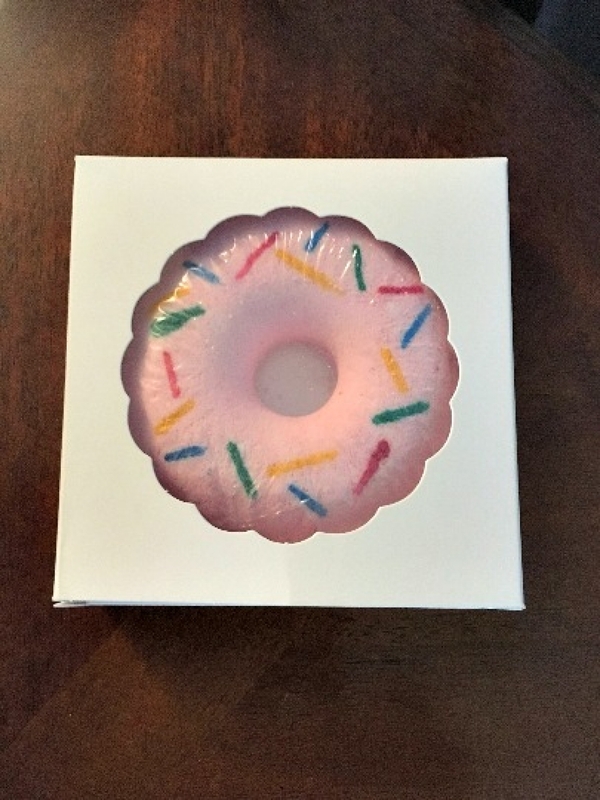 A single donut shaped bath bomb fits perfectly in this box. I've been ordering this product for 3 yrs now and the quality is great, not flimsy. Fits Linzer tarts or other large cookies great...as well as mini pies! I was actually surprised at how fast my order arrived. And I do a lot of online ordering! The scalloped round window box looks so nice, and is a very good quality. I will definitely be ordering from this company again soon! They worked out find a little large for my project (mini pies). Everyone ask me where I got them and I was glad to tell them. Thank you for the fast delivery and the best material! Im in love with your product! These cookie boxes are beautiful! 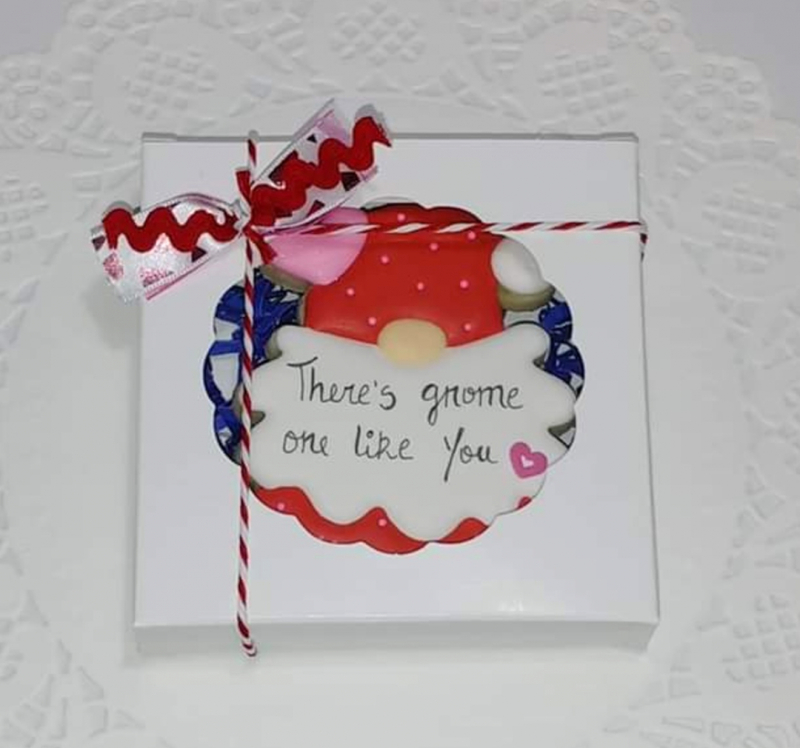 The quality and design are exceptional and perfectly display my hand-decorated cookies. My only regret is that I haven't ordered these before now! Best UsesI recommend using these boxes with larger cookies (3.75-4.25 inches) so that you are able to see the entire cookie through the window and the cookie isn't allowed much movement. Perfect size for gift giving cookies! Used for extra large apple cookies for teachers. 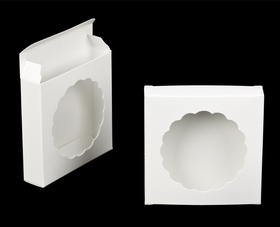 I ordered these boxes to use for four inch bridal shower cookie favors. Excellent price, quality and style of box for this purpose. Will present as a nice favor and also make it more likely the cookie is still in one piece as guests take them home. 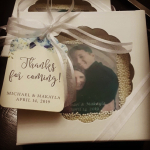 Easy to add some ribbon or embellishments to the box to decorate. Also super fast shipping. I will absolutely will use this company again and again!!! Highly recommend this! Beautiful white gift box. Used it for a 3" round cookie. Results were great. Client was very happy. 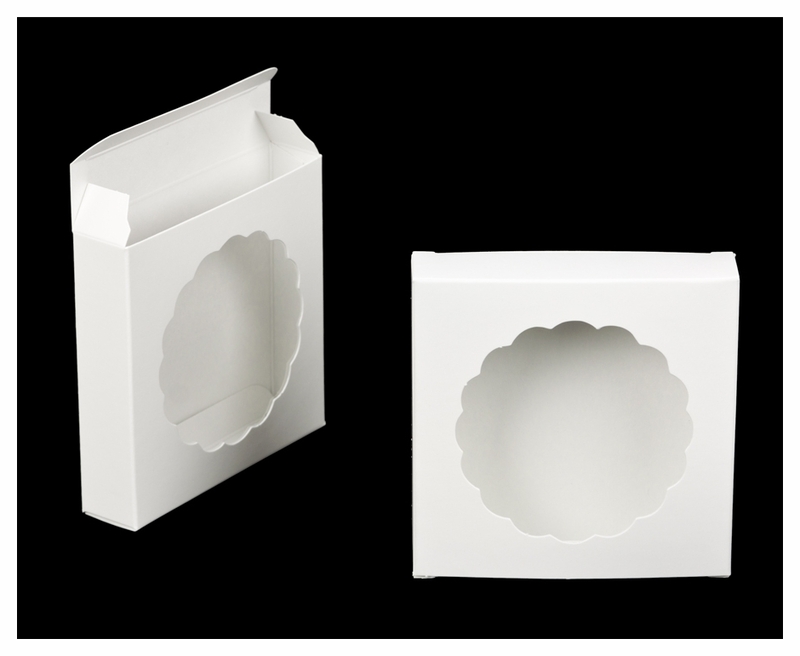 Beautiful, clean , crisp white cookie boxes. Very elegant looking and good quality. Exactly what my business needed for a special order! Exactly what my business needed for a special order! We had a last minute 200 cookies Order with personalized packaging. 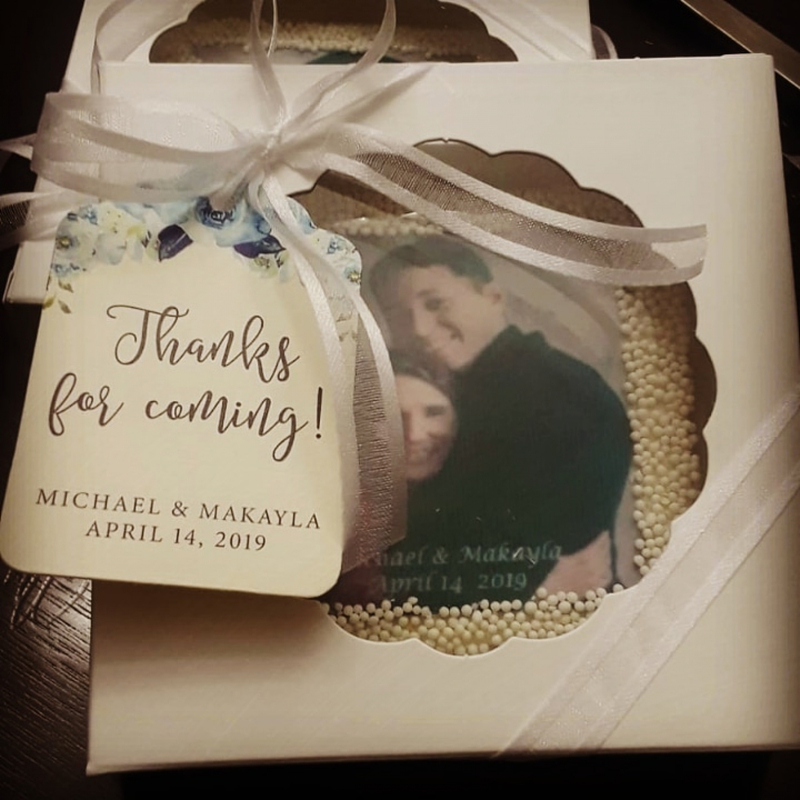 This box was the perfect solution to our situation and the client was floored by how elegant her treats looked with the boxes and a bow. Always quality products fast shipping! These are just the right size for that personalized cookie! They have been received well by my customers. It's the little things that can make a difference~ Thanks BRP Boxes! This company has terrific products and their customer service is excellent! This is the second time I've ordered these and they are the perfect size for a single cookie. Customers love the clear window to see the design, and nice enough to just set on table as a favor! I used these for 4" cookies & they were perfect. Make for beautiful presentation. I've used these in my bakery for 2 years - they are a good size so I use them for cookies from 3-4" dia. I can also fit two sugar cookies (stacked) inside easily without them getting smashed. Kids love them because it's like getting their own little cookie gift boxed. Very sturdy and easy to assemble.